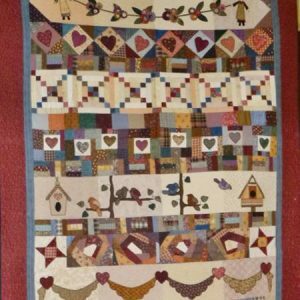 Pattern designed by the talented Therese Hylton. 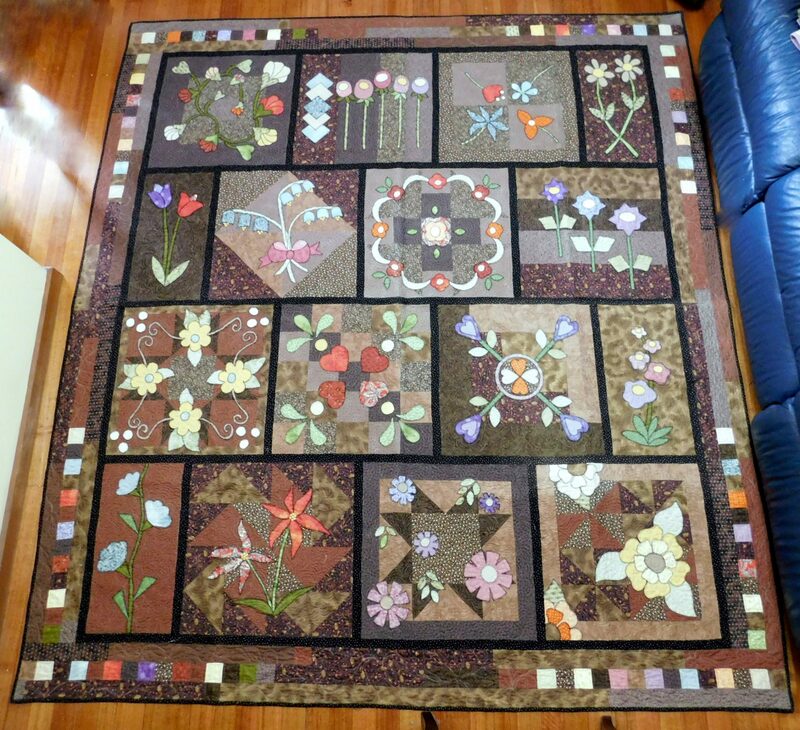 Finished size of this quilt is approximately 84″ square. 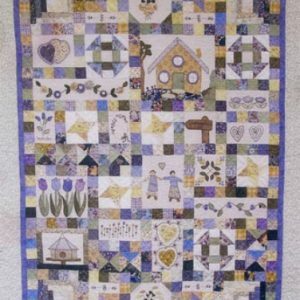 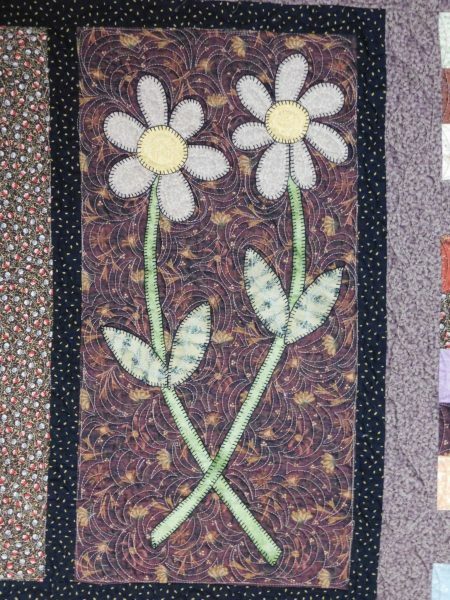 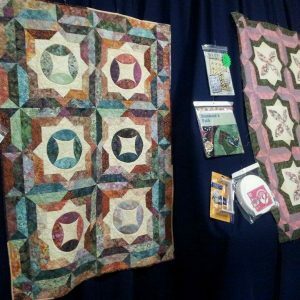 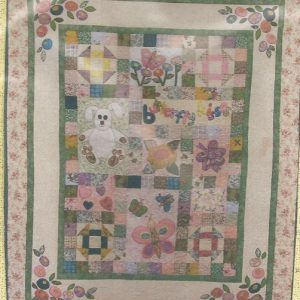 With pretty applique set over easy pieced backgrounds, this is a lovely quilt, achievable by all skill levels. 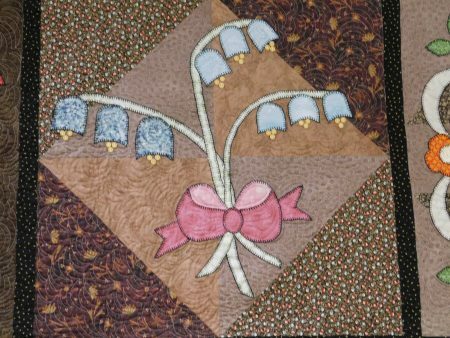 Therese has chosen to set her pretty flowers over brown tones, but you could use a different colour if you prefer. 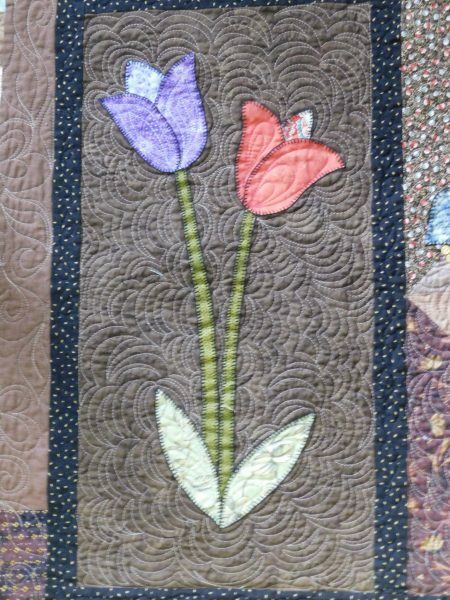 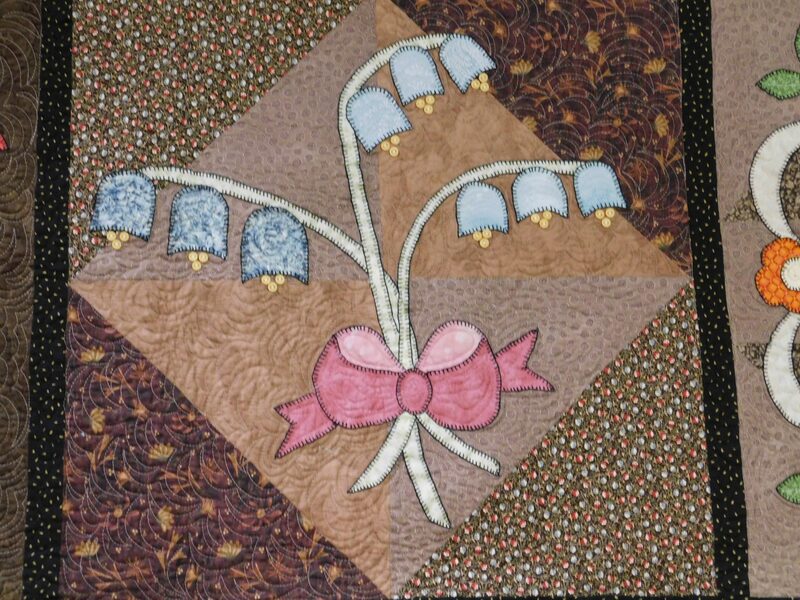 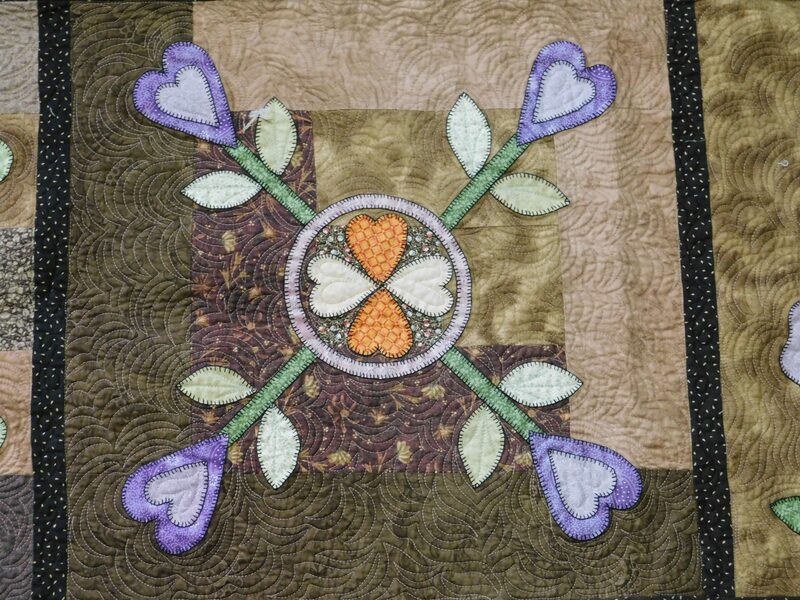 Using some of the colours from the applique to set into the pieced border adds a lovely touch. 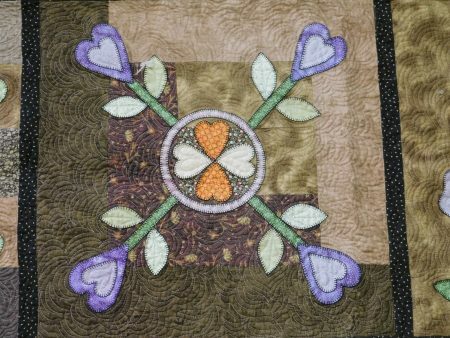 Applique patterns are provided full-sized, so no need to enlarge.